Our opulent suite assure that you feel at home. Our unique interior decor, period furnishing combined with contemporary amenities ensures a memorable stay for all our guests. The Art of at this place, comfort and convenience is for everyone. Luxury in its finest form is for the ones who choose to stay with us. A step ahead in luxury for those who deserve to live in a royal fashion. With panoramic views of the city centre, Conferencing, it's what we do! Our customers are important to us; we value feedback to ensure we constantly improve our products and services and continue meeting and exceeding expectations. Our mission: to provide a haven where guests and delegates/facilitators can relax, and focus on outcomes in an atmosphere of warmth, space & comfort. Consistently high quality service that is professional, relaxed and friendly. 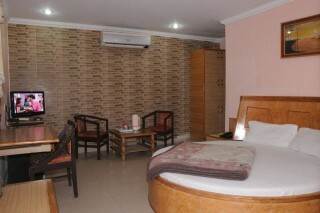 Our luxurious rooms offer comfort and ease with every feature carefully chosen to emphasize the elegance of the room. 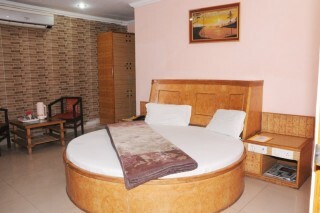 The grandeur of this place reflects bright in its elegantly designed and furnished rooms. we offer clean, comfortable, great value rooms with many of the facilities of more expensive places- at a much lower price.